This year will mark my sixth holiday season working in TV news. I think most newsies will tell you that, more than the odd hours and low pay, working the holidays is one of the absolute worst parts of the job. Out of those six holiday seasons, this is only the second where I will be working Thanksgiving AND Christmas, and for that, I consider myself quite lucky. It’s around this time every year that I usually find myself in an emotional tug of war. I start out grouchy, resentful that I have to sacrifice so much of my personal life for my job. Then I try to snap myself out of it with a stern internal lecture. I realize I’m far from the only person who has to work holidays, and many of the other people who will be working have jobs that are arguably more difficult and more important than mine. In fact, I learned in a story we ran at my station last night that about 25 percent of Americans will work Thanksgiving, Christmas, or New Year’s. I think about the doctors and nurses taking care of people; the policemen, firefighters and paramedics keeping us safe; the pilots and other airline workers getting people home to their families. 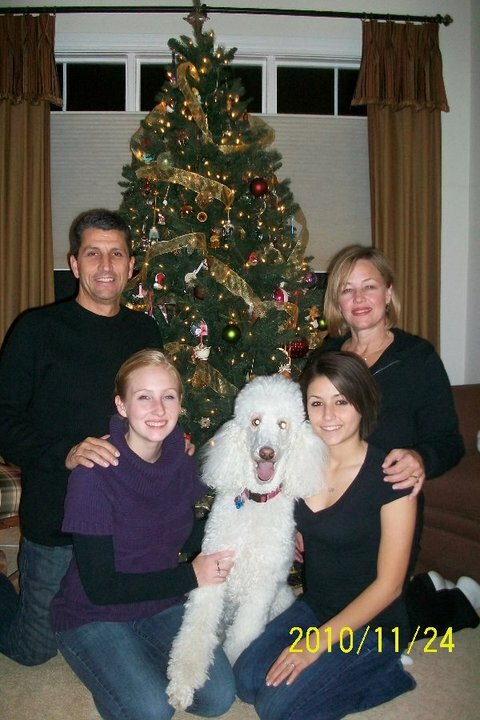 I think of the many servicemen and women overseas, who may not see their own families for months or more. I feel pretty lucky to be able to enjoy a potluck with coworkers whom I consider friends, and then put together a newscast. 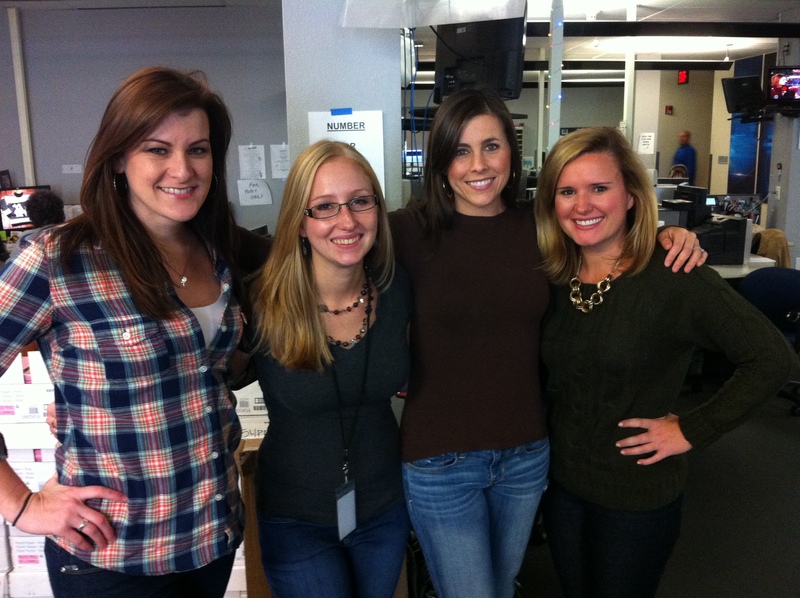 Spending Thanksgiving 2013 with some of my favorite FOX 7 girls. Of course, there’s still that feeling of missing out on some quality time with my family and old friends back home. But I also recognize that I am lucky to have so many people whom I love and miss so much. When you spend a lot of the holidays working, you become acutely aware that there are a handful of days each year when it seems like everybody is getting together and having a good time. (You don’t usually think about the stresses of hosting big gatherings and spending money, or tensions between family members, or sadness felt for those who’ve been lost.) But the flip side of that is the much deeper appreciation you feel for the moments you do get to take part in. Enjoying some much-appreciated family time on Thanksgiving 2010. Last year it was almost Thanksgiving when I found out I’d been approved to take off the entire week of Christmas. It had felt like an impossibility and I was filled with so much joy when I found out that my eyes filled with tears. The trip wasn’t without its emotional and financial stressors, but being able to celebrate with our family and friends that year is something I will always cherish. I got to be there as my boyfriend’s twin niece and nephew celebrated their first Christmas. And he got to share the annual Christmas Eve celebration at my great aunt’s house; it may have been the last year for that tradition, as she won’t be able to host this year, for the first time in decades. This year I will miss Thanksgiving and Christmas with my family, but I’m already looking forward to getting home for New Year’s Eve. I will spend five days in my hometown, and eagerly soak up as much time as I can with the family and friends I rarely get to see. It will be Thanksgiving and Christmas and New Year’s all rolled into one. And I hope that as my life goes on, no matter when I get a chance to enjoy time with the ones I love, that I can hold on to that thankfulness, whether it’s Thanksgiving or not.